Strummerville-On-Sea is a fundraising event organised by the Joe Strummer Foundation in their new seaside home. Our fundraising target for the event is £500.00 - if you can, please donate. Proceeds from this event will go to Make Waves (formerly Live in the Valley), which has been running in Hastings and Rother for over 15 years and has supported thousands of young local people to become young musicians and providing creative opportunities in areas of high deprivation. Make Waves is one of the most high valued local projects, resulting in gigs, new music and a positive activity for young people in an area that has struggled to offer them opportunities. The program is delivered in partnership between Rhythmix and East Sussex Targeted Youth Support and we are very proud to be working with them. 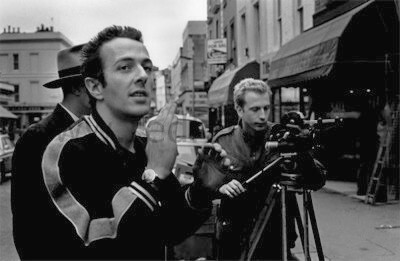 The two pronged event will begin at The Electric Palace Cinema in Hastings with a very special screening of Joe Strummer’s Hell W10, a short black and white film written and directed by Joe. Following the screening Daily Mirror Music Critic Gavin Martin and Joe Strummer biographer and author Chris Salewicz will discuss the films and the periods in The Clash's history and Joe's career that they document. 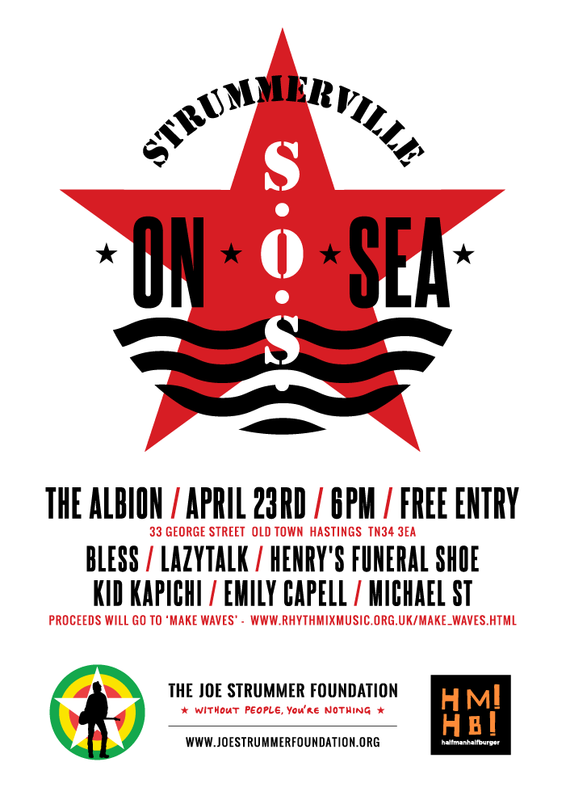 At 6pm we move on to the Albion in Hastings Old Town for an evening of eclectic new music from fine local talent and Joe Strummer Foundation supported artists. This event is FREE, however there will be the chance to make a suggested donation of £3 in the venue. If you can not attend this event you could still make a small donation online. Your support is greatly received, thank you. Come and support new music, breath in some sea air and raise some money for a great local cause. 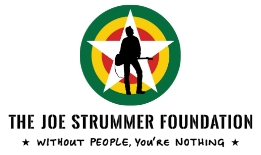 The Joe Strummer Foundation gives opportunities to aspiring musicians and support to projects globally that create empowerment through music. This event is proudly sponsored by HM!HB! Fresh from their 2nd tour of France in support of the vinyl release of their debut EP 'Music Comes First', Bless bring their Rock'n'Soul for a night of new music at 'Strummerville-On-Sea' with a sound that references everything from 80s Brit-Ska to 60s Rock, they're sure to set the Albion off like a frog in a sock. Formed by two blues-loving brothers in 2008 in Ystrad Mynach in the heart of the South Wales Valleys,Henry’s Funeral Shoe are one of Wales’ hottest musical properties. Singles ‘Down the Line’ & ‘Don’t lose the rhythm’ have been used in a number of television programs in the UK, Europe and America, while the classic ‘Dog Scratched Ear’ was used by Fiat in an advert featuring none other than Charlie Sheen. The video went viral on you tube with over 1 million views in a week and over 7 million to date and was then picked up my Zodiak Media and used in the popular BBC THREE programme Being Human. Kid Kapichi are a 4 piece band from Hastings who are purveyors of New British Power Punk. Emily Capell tells blues inflected indiepop tales of life's frustrations and elations. Whether she's railing against the wrongs of the world, getting a little frisky or inventing a new dance craze Emily will pull you in and spin you round so quickly you'll wonder why you ever bothered with dull generic boys with guitars. 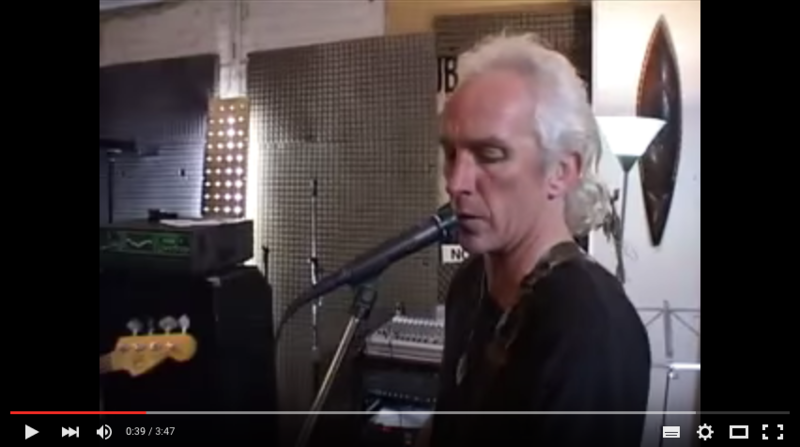 Though born in England Michael has lived in New Zealand and with his band, The Innocent, played with many international acts including Echo and the Bunnymen, Elvis Costello and The Damned. In 2003, around Joe's birthday he way instrumental in setting up 'Strummer Day' in Auckland. Michael also stage managed for Joe and the Mescaleros at the Big Day Out Festival. While playing solo in England for a few years he was involved in a near fatal car crash and now resides in Hastings. Michael is out on the road again this year. First stop Strummerville-On-Sea.